Tech N9ne is widely regarded as the most successful independent rapper of all time, with his indie recording label "Strange Music" expected to rake in upwards of $20 million this year. 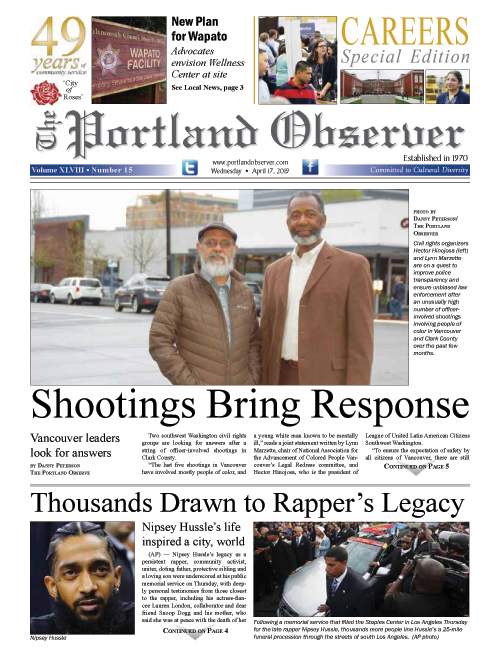 The Portland Observer caught up with recording artist Tech N9ne when he came to town during his current 50 city tour. The “Something Else” tour, entitled after his latest album features hip hop industry heavyweights such as Wiz Khalifa, B.O.B., Cee Lo Green, and Kendrick Lamar, his longtime collaborator Krizz Kaliko and many more. As the founder of his own record label, Strange Music, which currently pulls in more than $20 million annually, Tech N9ne is often labeled as the “the most successful independent rapper of all time”. With a mastery of a signature tongue-twisting delivery, the 41 year old mogul has touched on a range of deeply personal subjects in his music, such as a nearly fatal drug addiction, separation from his wife, distance from his children, death of his best friend, and most recently his accusation that a seventh grade teacher molested him during his youth. DMS: So basically you’ve done a lot of work with Portland artists out here. You’ve worked with Cool Nutz, Illmaculate, Bosko. Tech: Yeah, and, uh, DJ Chill (a.k.a. Chillest Illest). He was my DJ for a while. DMS: What keeps drawing you out here though, ‘cause every time you go on tour, I think you’re out here? Tech: Real [expletive] [laughs]. I’mma come wherever my fans are. Got a lot of fans here man, so I’m gonna always be where they are. I’ll still do shows in Bend, Oregon and Eugene. ‘Cause some people wanna see you up close and personal you know, as opposed to the nosebleeds. I plan on getting big as the nosebleeds, but I’m always coming back where my fans are. That why I keep coming back here you know. DMS: You had talked about how you’re painting your face, you look a lot more like your ancestors than other people might even think. DMS: And you know, listening to that song, Breaking In To Colored Houses [on your new album], you’ve been talking about this stuff, the struggle for black fans. Tech: Yeah, I’ve been tryna get my people at my shows. DMS: I saw that you said overall that you wanted to take this album in a whole different space than you have before. Tech: Uh, every album I do is more humongous than the last. I thought that was gonna be impossible to do with All 6’s and 7’s. Everybody that was on that album, the beats. But me and my producer Seven just keep getting better and better, and Empire keeps getting better and better, and, uh, I thank the Lord for that.